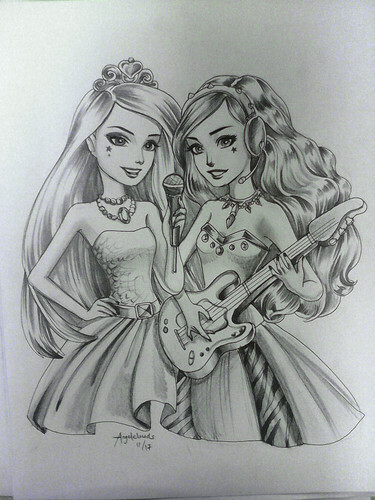 Barbie Rock n Royals Fanart. pencil sketch of Barbie rock n royals. HD Wallpaper and background images in the Filem Barbie club tagged: photo barbie rock n royals fanart barbierock. This Filem Barbie fan art contains anime, komik, manga, kartun, and buku komik. Barbie Dreamhouse Adventures Official Poster! Awesome as usual! What tools do you use for make it? Wow you have great talent in drawing with simple tools! Two thumbs! Barbie fashion fairytale watch online! atau download!